I’m in love. It’s true, I really am! I am in love with my beautiful, beautiful bike! I’ve said it before, buying a bike and making it really work for you is a very personal thing. Finding the right frame, the right gear and adding just the right amount of character takes time and effort. But when you get it right, my goodness it’s a wonderful feeling. And that’s how I’m feeling about my bike right now. 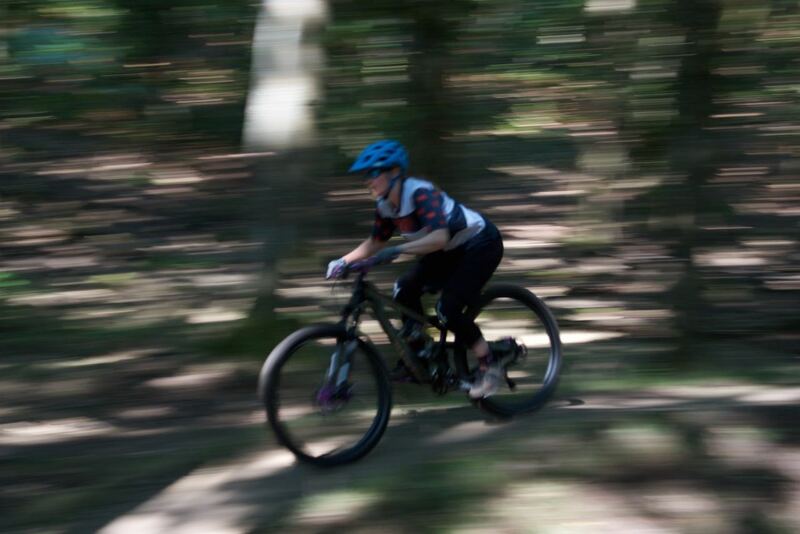 At the start of the year I began my hunt for a new full-suspension bike, after realising that the geometry of my previous bike – my Giant Trance – was really not right for me. We’d made a lot of mods to the Trance and, whilst it worked for some things, it sent other things kinda off kilter. After a whole heap of research (I’m serious, there were spreadsheets and everything!) 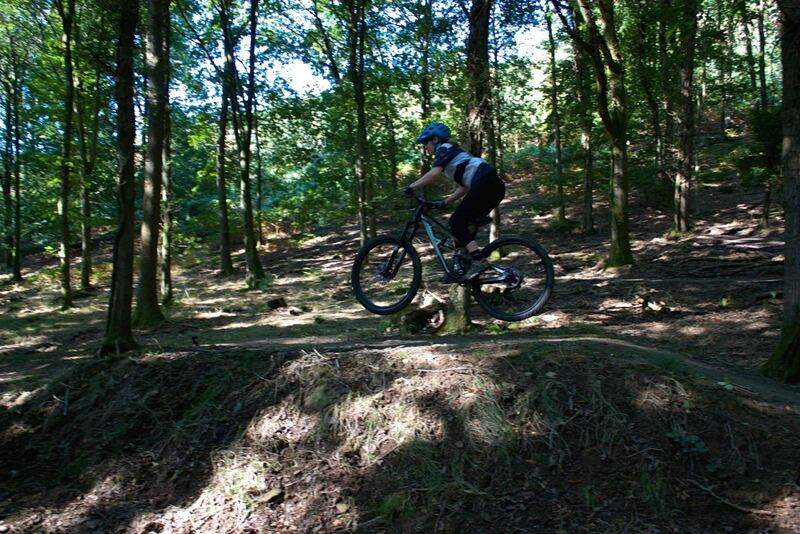 and a bit of bike testing, I finally settled on the Saracen Ariel. We bought the frame only and then built up the rest of the bike to work for me, taking my penchant for purple into account, of course! And the result? A bike that behaves like none I’ve ever ridden before. 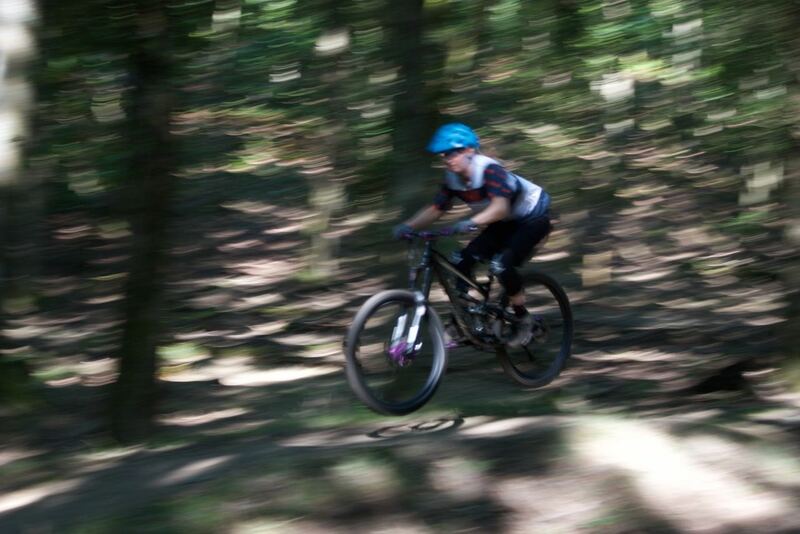 I really can say that in the last six months, my riding has come on leaps and bounds (literally, actually!) and I put this at least in part down to the bike I’m riding. 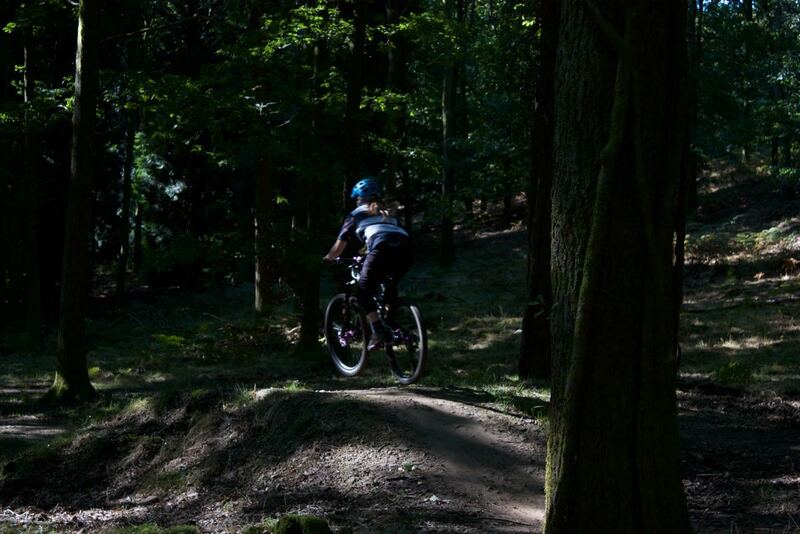 I’m riding her confidently on some pretty difficult, technical trails, and it’s on her that I really learnt to jump. Her Hope Tech X3 brakes (thank you very much Mr SconeCycling!!) are far less bitey than the Shimano ones I’ve used before. And I was able to adjust them to make them less bitey still, which means that they’re ace for my trigger happy fingers. By reducing my ability to over-brake, I’ve suddenly found myself able to ride over bigger features and round tighter switchbacks, as a gentle squeeze on the brakes doesn’t stop me dead in my tracks. With all of those features combined, I have a beautiful bike that I love to ride. My confidence has grown incredibly over the last few months and I can never wait to get back out on the trail.